Click the original air date for the episode's recap. Sarah Manchester's million dollar win is finally getting rerun on November 21. Can't wait to see a million winner! Spin the wheel again! 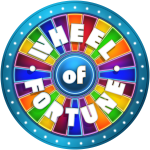 Wheel Of fortune is the best game show ever. Hello MarioGS, Please Rerun Episode mfdesanto Sweeps Game On 12/26/15, Oh & Can't Wait. Um... I don't work for Wheel. I don't decide the reruns. I just post them. Significant episode alert: paging mfdesanto. Sorry to bump, but why did they rerun the 3/19/2015 twice? ...Or Harry landed on the "S-6179" wedge twice. Thank goodness the April 2 rerun is the episode before the big bad event! Better not be a prank.